Addis Ababa, Ethiopia, 15 July 2015 – A Sustainable Development Investment Partnership (SDIP) has been launched to mobilize $100 billion in private financing over five years for infrastructure projects in developing countries using development assistance to reduce risk. The partnership, which includes the World Economic Forum and the Organisation for Economic Co-operation and Development (OECD), is being launched at the United Nations Conference on Financing for Development in Addis Ababa, 13-16 July 2015. The founding members include Citi, Deutsche Bank, East Capital, Standard Chartered, Storebrand and Sumitomo Mitsui Banking Corporation; the governments of Canada, Denmark, the Netherlands, Norway, Sweden, USA and UK; the Bill & Melinda Gates Foundation, Danish Investment Fund for Developing Countries (IFU), Development Bank of South Africa, International Finance Corporation, PKA, Pension Danmark and the Senegal Sovereign Wealth Fund (FONSIS). 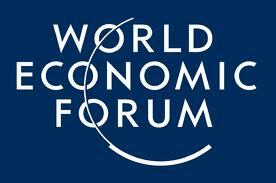 The World Economic Forum and the OECD are providing institutional support. The fastest growing economies in the world are all developing countries and emerging markets. Their potential and need for private investments to boost development is enormous. Despite the higher expected returns on investments and the long-term cash flows offered in emerging markets, infrastructure investments in developing countries are constrained by political and financial risks. The SDIP aims to mobilize these and other potential private investments by improving and enhancing risk mitigation tools to reduce political, regulatory, credit, currency and liquidity threats. “Expanding public-private cooperation in the form of blended finance is one of the most important ways the international community can support developing countries as they seek to generate the very large amount of domestic and foreign investment required to meet their Sustainable Development Goals by 2030. These kinds of initiatives can help catalyse domestic and foreign private capital at much greater scale by mitigating the risks that impede investors from pursuing otherwise attractive infrastructure and industrial investment opportunities that would create jobs and reduce poverty,” said Richard Samans, Head of the Centre for the Global Agenda, and Member of the Managing Board, World Economic Forum. “Hydropower projects in Nepal or solar power plants in Mali should be good for business, people and the planet. This partnership aims to identify investment hurdles and remove them,” said Erik Solheim, Chair of the OECD Development Assistance Committee. “This partnership provides an effective platform for public and private sector institutions to collaborate towards de-risking infrastructure projects in developing countries through various mechanisms to attract additional institutional capital including from pension and sovereign wealth funds seeking direct exposure to this asset class,” said Amadou Hott, Chief Executive Officer of the Senegalese Sovereign Wealth Fund (FONSIS). Private investments in infrastructure projects in emerging and developing economies account for the majority of financing required to implement the United Nations Sustainable Development Goals, to be agreed in September 2015. By bringing together a complementary set of skills, capacities and resources, the SDIP aims to realize concrete investment opportunities in areas such as water, sanitation, transport, green energy, agriculture, health, telecommunications and climate adaptation in developing countries. “We look forward to exploring how our tools and mandate can leverage more capital for much needed sustainable investments. We are excited about this new partnership and its potential to empower people and help create a sustainable world,” said Charlotte Petri Gornitzka, Director-General of the Swedish International Development Agency (Sida).